Online shopping continues to grow in popularity, but which retail websites are consumers visiting the most? Market intelligence company SimilarWeb ranks web sites based on traffic and engagement. Some of the sites at the top are no-brainers for most people who shop online (Amazon, eBay, Walmart, etc. ), but other retailers down the list may surprise you. This list is based on numbers from March 1, 2019. Since it was founded in 1996, Amazon.com has become known as the go-to online retailer for almost anything, from books, toys, clothes and shoes to food, furniture and other household items. For a recurring fee, its Prime membership offers free two-day shipping on most purchases, as well as the ability to stream music, movies, and other media, as well as other perks. Officially founded in 1998, Ebay.com is an e-commerce platform that allows people to buy and sell new and used items. The company’s recent Price Match Guarantee ensures that customers are getting the best prices available on most of the items available in its selection of eBay Deals. Craigslist.com has been credited with all but killing off newspaper classifieds since its launch in 1996. Built like an online version of newspaper classifieds, listings are posted by community and region—and they are free. The website now is a top resource for anyone looking to buy or sell used items locally. Since the first Walmart store opened in 1962, the retail giant has been determined to offer low prices along with great service. The company took that sentiment online in 2000 when it rolled out Walmart.com in the U.S.
Etsy.com was launched in 2005 with the goal of giving artists, craftspeople, and makers of all kinds a platform to sell their creations online. Now, it’s one of the top destinations for people who want to shop for vintage wares, one-of-a-kind gifts, and handmade items. The Home Depot opened its first store in 1979 and opened homedepot.com in 2000. It is the largest home improvement retailer in the U.S., as of 2018, with more than 2,200 stores worldwide. Customers can order everything from small items to major appliances online for delivery or in-store pickup. Target has affectionately been referred to as “Tar-zhay” since the first brick-and-mortar department store opened in 1962, but the retailer didn’t have an internet presence until it launched Target.com in 1999. Since then, it has won awards for its mobile app and introduced Cartwheel, a mobile digital coupon app developed with Facebook. Wish was founded by a former Google software engineer in 2010 and has since made a fast and sizable expansion in the online shopping world. Wish.com and its popular app feature a wide range of products coming directly from Chinese manufacturers at very low prices. You must sign up and log in to browse products, and in turn, you get a customized shopping experience. Best Buy was founded in the 1960s as an audio specialty store, but in 1983, it broadened its offerings to a wider selection of electronics and changed its name to Best Buy. Its website, bestbuy.com, was launched in 1998 and revamped in 2004 to broaden its offerings. The electronics chain is known for its wide selection of products and appliances and for its Geek Squad, which provides repair services for computers and other electronics. Part of The Alibaba Group, AliExpress.com launched in 2009 to help small Chinese exporters, manufacturers, and entrepreneurs sell their goods internationally. 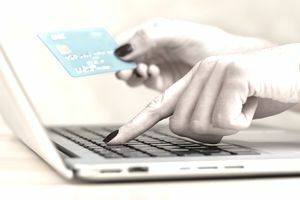 Rather than identifying as an online store, the company sees itself as an online platform that connects sellers and consumers. The site offers a wide range of goods, from wholesale electronics to clothing and supplies for the home and garden.